Toyota, the Japanese auto manufacturer, recently announced a product recall for roughly 228,000 U.S models of the 2016 and 2017 Toyota Tacoma. The trucks have been shown to exhibit a problem causing a leakage of oil, which could potentially be a contributing factor in a collision. A judge in Orange County, Calif., approved a $1.6 billion settlement in a class action lawsuit filed by thousands of consumers against Toyota because the value of their vehicles plummeted after the automaker’s large-scale recalls for sudden acceleration issues, UPI reports. This decision does not affect those who have filed a personal injury or wrongful death lawsuit against Toyota. The settlement will, however, result in payments to those who are included in the class-action lawsuit for the depreciation of the value of their vehicles. Toyota Motor Corporation has announced a global auto recall of 7.43 million vehicles because of a potential fire hazard. According to a CNN Money report, the driver’s side power window switches on some models were defectively assembled. Officials say the auto recall affects approximately 2.5 million vehicles in the United States. Vehicles included in this defective part recall include some Corolla, Camry, Highlander, Matrix, Tundra, RAV4, and Yaris models. Owners of the potentially dangerous vehicles will be notified by mail later this month. Gulf States Toyota is recalling approximately 1,500 cars beginning in April, according to the National Highway Traffic Safety Administration (NHTSA) website SafeCar.gov. This recall is due to defective tires; specifically, faulty tire pressure monitoring and regulating systems in the 2011 Toyota FJ Cruiser and 2009-2011 Toyota Tundra. 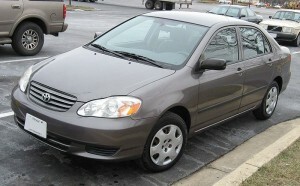 Earlier this month, Toyota announced a new recall of over 1.5 million vehicles for brake problems, according to CNN.com. Toyota is recalling 740,000 Lexuses, Avalons, and Highlanders in the United States, and over 1.5 million internationally. Honda also announced the recall of an undisclosed number of Acura RL and Honda Odyssey vehicles for brake problems. Earlier this month, Toyota announced that it has already completed 65 percent of the repairs required under its recall for sudden acceleration problems, according to The New York Times. The Associated Press reports that Toyota has issued yet another recall in addition to the current list of recalls related to defective acceleration pedals and faulty steering. The latest Toyota defect recall involves faulty car engines. Within the last two months, Toyota has recalled several models of its vehicles for defects in its accelerator gas pedal as well as defects related to its floor mats jamming the brake pedals. According to the Toyota USA Newsroom, the most recent recall has involved the luxury Lexus LS 460 and the LS 600h L models for a steering problem that causes temporary off-centered driving. On the heels of Toyota defect recall after recall, Toyota Motor Corporation is sticking by its claim that the issues causing its vehicles to unintentionally accelerate are not related to faulty electronic safety systems. Specifically, Toyota maintains that instances of unintended acceleration are caused either by gas pedals remaining in the depressed position due to an easy-to-fix mechanical problem or faulty floor mats. According to a Reuters.com article, Toyota has discredited outside sources which conclude that the issues surrounding Toyota vehicles may stem from electronic system errors.